1/2 Price – Fully Exciting! I think today was my most rewarding day in the tattoo shop so far. I got to tattoo two original pieces and they both turned out like I wanted them to. During October the prompts for Day 14 of Inktober/Drawlloween were Clock and Skeleton. I did a sketch that I posted but I felt like I had done it backwards. The face of the pocket watch should not have been facing the inside of the hand. I kept redrawing it to try and get it right. The new drawing is similar but much more logical. When I finally felt like I had it I added to my little book of flash that I have been working on. What I most want to do as a tattoo artist is create original drawings that people like enough to let me put on their skin. Jonathan came in today with his wife so she could get a tattoo from Candace, but as she was working on her paperwork he asked if the 1/2 price apprentice tattoos were still available. I told him they were and gave him my book of drawings. I was thrilled when he told me he liked the Time in Hand drawing. We enlarged it 120% so it fit nicely on the side of his leg. Then after Jonathan I got to give my friend Martha her third tattoo. She had actually asked me to do a portrait of her dog Wolfie for her first tattoo but I did not think I was quite ready for that. We did a simple outline to start with but since then I had been working on sketches of her best little buddy. Today we both felt like we were ready and we are both happy with the results. Of course I will tattoo anything (within reason and my ability) that someone brings into the shop and requests, but I now that I am getting more confident with this medium I hope more and more of my friends will talk to me about their ideas and let me draw up designs for them. And I will keep drawing my own ideas in hopes that as people flip through the book they may find the design they did not even know was what they wanted. Author adminPosted on November 11, 2018 Categories Pet Portrait, Tattoos1 Comment on 1/2 Price – Fully Exciting! 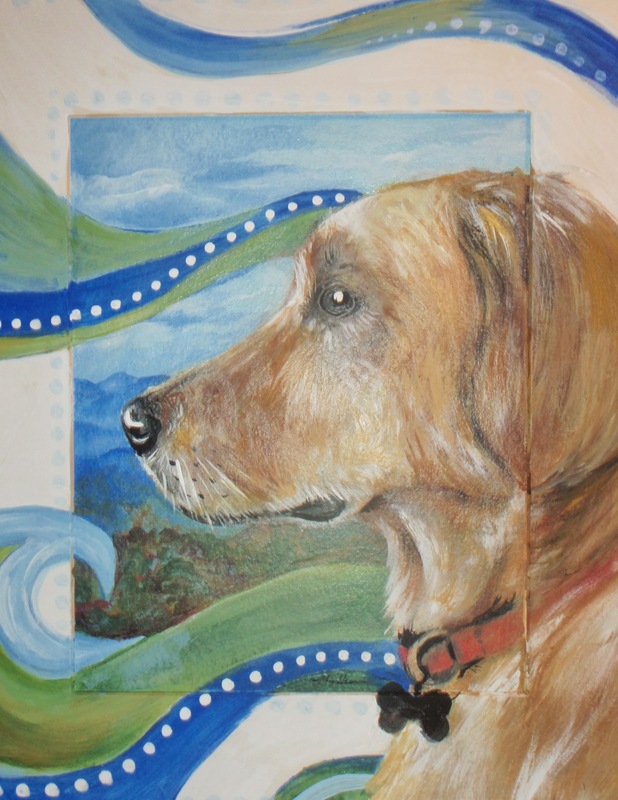 Commission a Pet Portrait like this one for just $250 US. Contact jennifer (at) azulitas (dot) com for more details. Email jennifer (at) azulitas (dot) com to order or request more information.